(AINA) -- Probably there is no coincidence. It was just two weeks ago, on October 24th, the special synod for the Middle East ended in Rome in an attempt to shed some light on the precarious situation of the Christians in the region (AINA 10-19-2010). For two weeks, patriarchs, metropolitans, archbishops and bishops of different oriental churches -- Chaldean, Coptic, Syriac, Greek-Melkite, Maronite and Armenian -- discussed the challenges facing Christianity with their Latin-rite brothers under the leadership of Pope Benedict XVI. One dramatic development discussed in Rome though was the exodus of Christians from the Middle East over the last two decades where some observers see it as Christians disappearing from some parts of the cradle of Christianity. 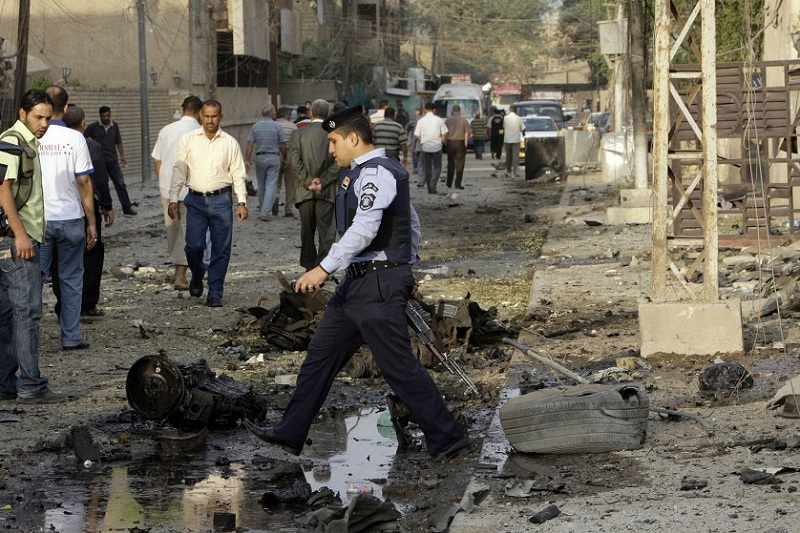 In Iraq 66 churches have been attacked since 2004 (report) and seminary and bible colleges were urged to close. In Iraq, almost every Christian is able to name someone who has been kidnapped or killed (report). More than half of the 1,500,000 Assyrian (also known as Chaldean and Syriac) Christians living in Iraq before 2003 have fled abroad. Thomas Meram, Assyrian Chaldean archbishop of Urmia and delegate to the synod in Rome, has been quoted citing the psalm of David, referring to the situation of the Christians in the region, "For you we are massacred every day." He continued: "Every day Christians hear it said, from the loudspeakers, from the television, from the newspapers, that they are infidels and for this reason they are treated as second-class citizens." In his concluding preach to the synod, Pope Benedict formulated a strong appeal for peace and greater religious freedom in the region and that "it was important that Christians lead a dialogue with Muslims". 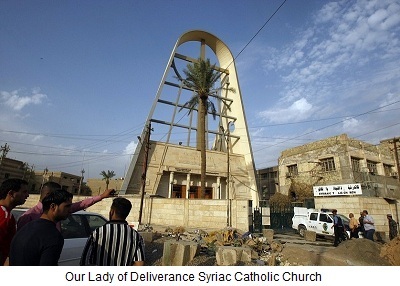 Almost as a reply to the message from Rome and as a demonstration how such a 'peaceful dialog' emerges with militant Islam became deadly visible for more than 120 visitors of the Our Lady of Deliverance Chaldean Catholic Church in Baghdad (AINA 11-2-2010, 11-1-2010)) over the weekend. People were attacked on Sunday evening during a church service and taken hostages by Al-Qaida terrorists. When police raided the church the terrorists set fire to their explosives, ultimately killing 58 parishioners, including two priests (AINA 11-2-2010). Despite the massacre, Iraq's defense minister, Abdel Kader al-Obeidi's, called the bloody rescue effort a "successful operation" with a "limited number of victims." Yonadem Khanna, an Assyrian member of the Iraqi Parliament, criticized the operation, calling the rescue attempt "unprofessional." It was a hasty action, he explained to Karim El-Gawahry of the Austrian paper, DiePresse. "We have no accurate picture of whether the believers were killed in the church by the bullets of security forces or by terrorists. The only thing we know is that most were killed in the rescue operation." Western countries have for a long time ignored the situation of the Middle East Christians. 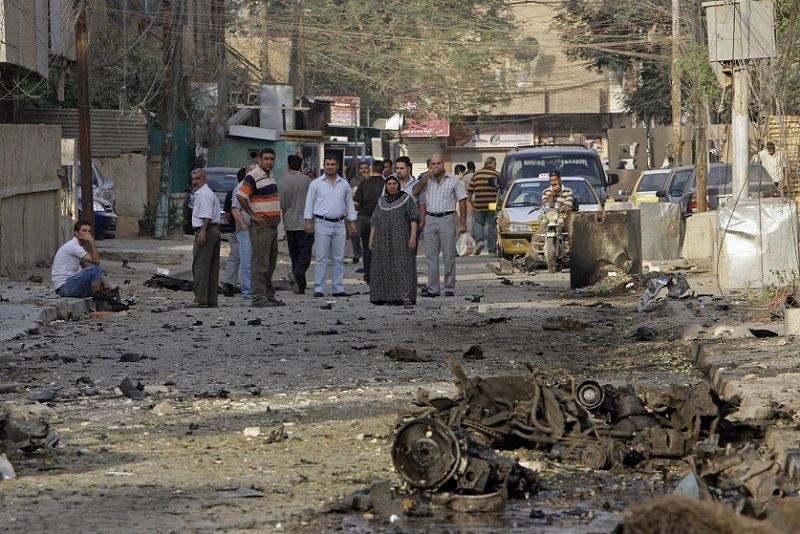 Earlier targeted attacks on Christian in Iraq were labeled as sectarian and seen as almost normal in the overall violence scene, though fully ignoring their systematic planning and selective targeting, and did not consider the small population of the Christians. Also, Western countries, especially U.S. and U.K., as leaders in the invasion of Iraq in 2003, have closed eyes to violence targeting Christians so as not to harm the "greater goal" of the so-called democratization they tried to propagate. In fact, Christians in Iraq are persecuted and killed in a "proxy war" for the West, because common people in Islamic countries see them as loyal to Western Christian countries and hence it becomes almost legitimate to attack and kill them.